9 months Unlimited Membership Included at Select Studios. 1. How is Yoga Den different from other schools? We believe yoga should be accessible to everyone, therefor we teach our trainees how to guide both Power Vinyasa Yoga (high-energy and athletic) and Mind Body Yoga (all-levels, relaxing, thorough stretching) classes. Heated and/or Power yoga classes are not suitable for everyone. Even the (especially the) extremely fit marathon runner needs yoga to bring the body back into balance after a long run, but a hot sweaty class may deplete energy needed for training and recovery. A Mind Body class is the perfect way to stay healthy for a large segment of the population. Yoga teachers with a broad skill set, and the ability to instruct both energy levels will find it easier to find teaching jobs. Our training will allow you to expand your resume’, and market yourself in a variety of ways, including working one-on-one with private clients. 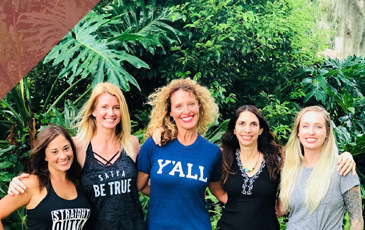 All of our educators are 500hr certified, have extensive experience in their specific field of study, and share the Yoga Den Philosophy that all are welcome and diversity is something to embrace. Asana: (The shapes we explore) There are over 70 illustrated postures in your training manual. For each, we discuss both traditional and post-traditional/therapeutic alignment, modifications, variations, use of props, safe assists, and stable transition cues. 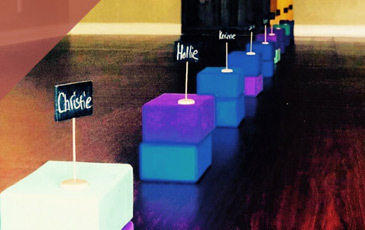 Sequencing and transitioning are crucial in understanding how to construct a class to suit a specific population. Our teaching methodology is what allows our classes to be enjoyed by multiple levels, and our students to feel secure and capable. Pranayama: (The Breath is medicine) We believe that the breath is a tool to cultivate a chosen state of mind, and will teach you how to use a variety of breathing techniques to offer before, during and after your classes. Understanding your respiratory system and how to control your breathing muscles are key to enhancing any yoga practice. Anatomy: (The Body, how to use it wisely) Safety and posture accessibility are fundamental to our way of thinking, which is why we are post-traditional in our Asana instruction (we all have different bodies and different needs), and why we spend a great deal of time helping you to understand your gross (the parts that can be seen) and energy (the parts that can’t be seen) bodies, movement mechanics and bodily systems and how they communicate with one another. Our teaching style is applied and interactive, and we feel that learning more about anatomy and physiology through the science of yoga is a powerful and illuminating experience. The study of the 7 main Chakras, 6 Bandhas, 5 Vayus and 5 Koshas are also introduced. Philosophy: (How Yogic principles can guide you toward optimal well-being) At the 200 hour level, we refer to excerpts from the Yoga Sutras by Patanjali. This is not required reading, as the specific sutras discussed are printed in your manual, however some students find this topic interesting and want to learn more. We prefer philosophical group discussions with student participation, and see this as a wonderful way to come to understand the diverse and complex nature of the human condition, while at the same time recognizing the many ways we are all similar. Meditation: (The Mind, and how to train it and calm it) The mysteries and misconceptions associated with meditation are thoroughly explored with our Meditation 101 workshop. There are a plethora of techniques students can utilize when practicing mindfulness, and regulating the breath is the best way to begin to learn the gift of calming and relaxing the mind. Meditation can be practiced in a variety of ways…sitting is only one of those ways. 3. Will I get accepted, am I qualified? We believe that anyone can enroll in school if they have a desire to learn more about Yoga. For those wanting to teach, we have come to recognize that good teachers are not marked by their level of flexibility, strength or stamina. Good teachers are those that have a genuine desire to share the practice with others, and are therefore willing to learn how to guide a safe and accessible class with a no-judgement attitude. Good teachers are uplifting and encouraging. For those wanting self-study, with no desire to teach group classes, what better way to learn about the brilliant practice of yoga than to enroll in such a comprehensive course! 4. So many people are getting certified, is there still opportunity to teach? The 200TT student population has diversified a great deal over the years. 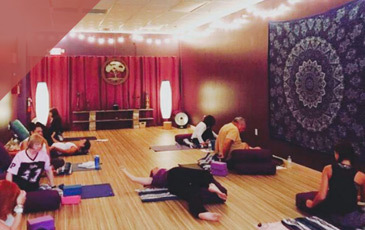 We have many professionals in the healthcare, wellness and education industries wanting to incorporate yoga into their current career, as well as those wanting to teach part-time and/or open their own studio. Due to Yoga’s popularity, and the recognition that it is not a fad but a therapeutic way to find holistic health, more classes are showing up in gyms, community centers and workplace settings, not to mention the many yoga studios that are looking to enhance their schedules. Special populations, such as seniors, children and pregnant women are also looking for more opportunity to practice, and classes like Yin, Restorative and Chair yoga are on the rise. If you want to teach, now is a great time to get certified! 5. What if something comes up and I need to miss a day or weekend, or can’t finish for some unforeseen reason? We understand that unexpected events can interfere with your schedule, and will help you co-ordinate a make-up date within one of our other sessions. This is one of the advantages of our program, having opportunity to catch up and still graduate with your class. Due to the administrative efforts involved with make-up coordination, a $25 fee will be charged for each day you need to make-up. There will be no refunds offered once the session begins. Should you need to discontinue, we will honor a 1-time transfer of your tuition to an upcoming 200TT session (This does not include additional unlimited membership). We would expect you to start from the beginning, rather than pick up where you left off, for the continuity of the group. A $100 session transfer fee will be applied. 6. What does it cost, are there payment options? If you would like to register, please scroll up and click on the current dates/enroll link. This will take you to our Mind Body software where you can create an account and choose your session. If you feel more comfortable dealing with a human, give us a call at 904-268-8330, or stop by the studio. Deposits are non-refundable, but can be transferred to a different session. Absolutely no refunds 1 week prior to session start date.